It’s easy to credit Nissan with the small crossover craze, not least for its genre-defining Qashqai but for its Juke as well. You’d be doing Suzuki a disservice if you did though, the Japanese firm having launched its Jimny in 1970 and, more relevantly, its Vitara in 1988. Since then that famous nameplate has found around three million homes worldwide, which is why the new model– driven here in prototype form – is probably more important than anything else in the firm’s arsenal. 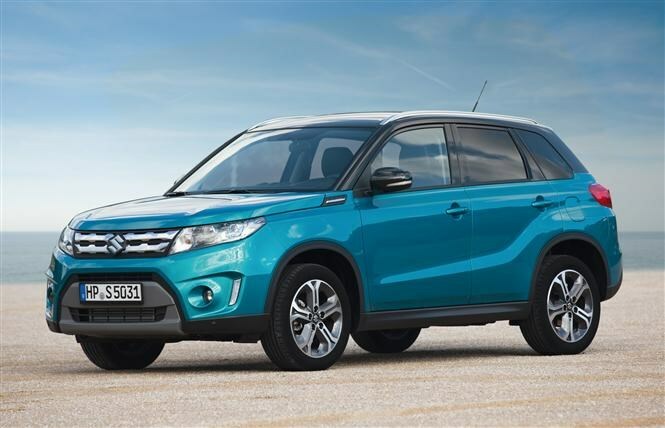 Suzuki realises its main customer base is as mainstream as a demographic can be, so in many ways the company has played it rather safe with this new Vitara. The clamshell bonnet remains, but apart from that there’s little to link this model with the very first – an aggressively-stanced three-door sports SUV. 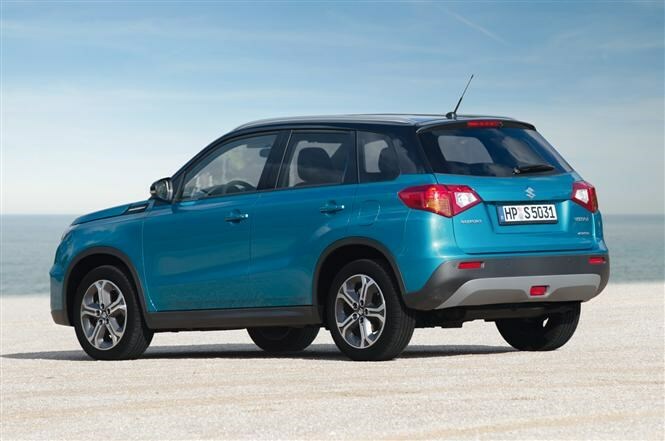 Sitting closest to a Peugeot 2008 in size, somewhere between the Nissan Juke and Skoda Yeti, the Vitara rides on a shortened S-Cross platform. The Yeti is more spacious inside, but the Juke is floored by the rear room of the Suzuki while the 375-litre boot impresses for size, shape and versatility thanks to an adjustable floor. Circular air vents flank a centralised clock and compete with body coloured appliques in the cabin for youthful bragging rights. Unfortunately the shiny plastics surrounding them in our test vehicles rang true with a hollow rap found only with cheap materials. Customisation can take place easier and more successfully outside, with contrasting roof pillars and two new colours, from a total of ten, and a pair of accessory packages. Urban consists of carefully considered chrome trim, while Rugged adds front and rear skid plates, body side mouldings and protection for the load edge. 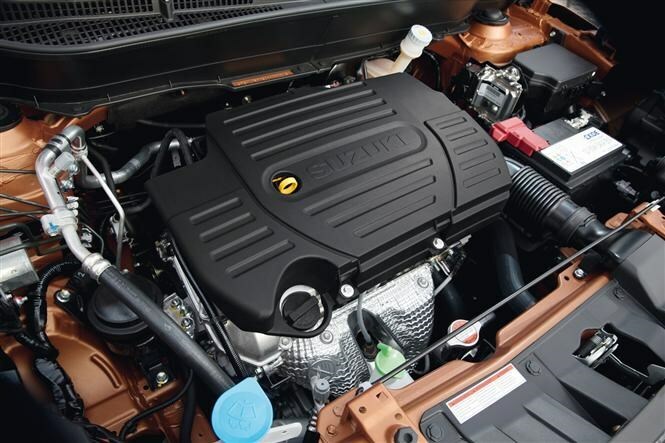 Two engines are offered in the new Vitara, both 1.6-litres in size, one petrol and one diesel. Both produce the same power, at 115bhp, but the latter produces twice as much torque with 320Nm available at just 1,750rpm, instead of the petrol’s heady 4,400rpm figure. 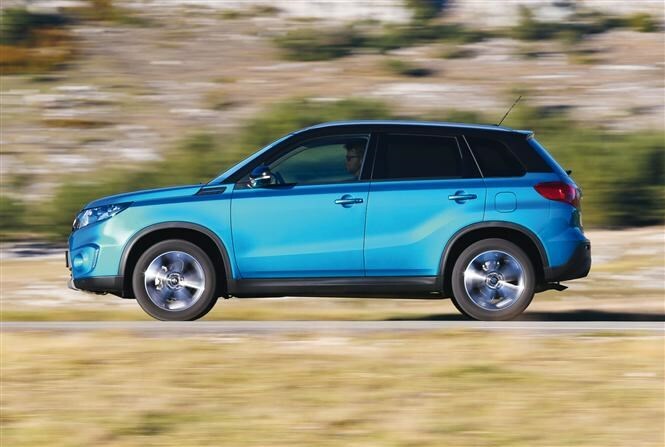 In truth both feel perfectly happy pulling the Vitara along at a reasonable pace, especially around town and urban environments. Occasionally there’s a slight grumble from the diesel, but it’s far more flexible, while each is well-matched to the gearing of the five- (petrol) and six-speed manual gearboxes. There is a six-speed automatic available for the petrol also. 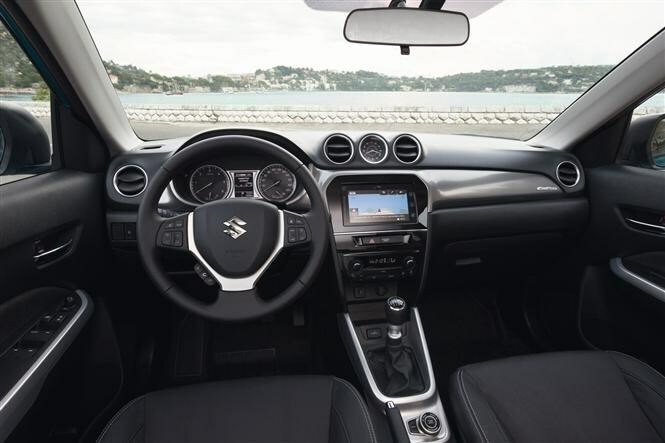 Suzuki has still to confirm economy figures for the diesel, but the petrol car is claiming 53.3mpg for the front-wheel drive manual with corresponding 123g/km CO2 emissions. Choose the DDiS diesel and you’ll find figures of 106g/km or 111g/km of CO2 depending on whether you want front or four-wheel drive. The on-demand AllGrip four-wheel drive can send power to whatever wheel needs it the most, and you can select from Auto, Sport, Snow and Lock modes with the transmission tunnel-mounted rotary controller. Each one optimising responses for the terrain or mood of the driver. There’s a commendable lack of bodyroll evident from the Vitara, and responses to the light steering are pleasingly sharp. In fact, along with the eager engine choices this Suzuki is rather good fun to drive, and though the suspension is slightly hampered by a firm edge to proceedings engineers assure us the setup is still being fine-tuned here in the UK. Performance figures are yet to be confirmed, but we’d surmise that the car will complete the 0-62mph sprint between 11 and 12 seconds, depending on which engine you’ve opted for. UK-specific equipment levels are still to be finalised, but expect the range to start at £14,000 for a base-spec petrol 2WD when it lands in dealers in March 2015. It’s predicted to follow the same naming convention as the S-Cross too, with Sz4 and Sz5 trims confirmed currently. Choose one of those higher trim levels and you’ll benefit from a long list of standard equipment, including the excellent seven inch touch-screen sat-nav and infotainment system. Graphics are commendably crisp – some premium makers need to pay attention here – and inputs are actioned quickly. Mirrorlink connectivity, to allow in-car use of Smartphone apps are available too. Safety is taken care of by seven airbags, while more expensive models will feature Radar Brake Support, preventing or lessening the chance of an impact when the driver isn’t paying attention, and an Adaptive Cruise controlsystem. 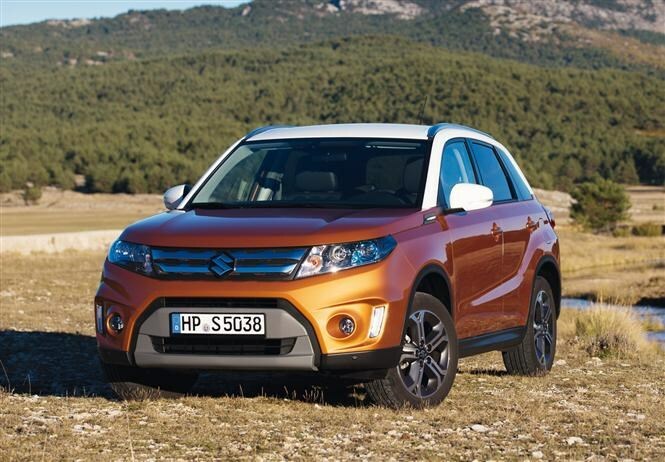 We’ll be testing the car early in 2015, before it hits UK dealers, so check back then for the full Parkers Suzuki Vitara review.